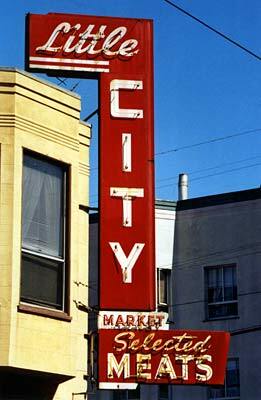 One thing that has always fascinated me about American cities is the abundance of old signage everywere. 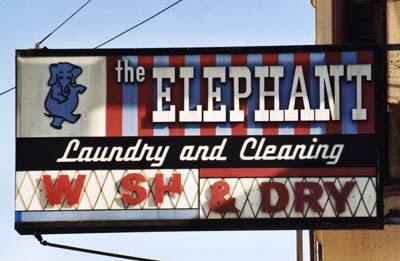 Wherever one goes, it will not take more than five minutes to find a vintage shop sign that hasn't changed in fifty years. 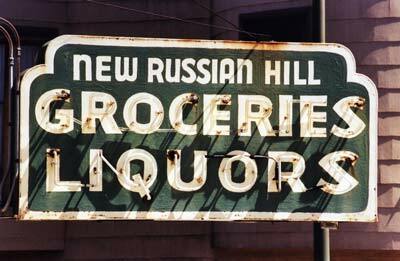 Here are a couple of recent examples from a walk around the Nob Hill and Russian Hill neighborhoods of San Francisco... sadly, two of the stores - the New Russian Hill Grocery and the Elephant Laundry - have both recently closed their doors forever.